Every worker, especially overseas Filipino workers (OFWs), will eventually get old and stay home for good and not everyone has enough savings to sustain their needs. It is good if you have a small business to meet your everyday expenses, pay your monthly bills, settle your mortgages and have a little extra for leisure and relaxation. Planning for your retirement may harder than it looks but you really need to start as early as now. 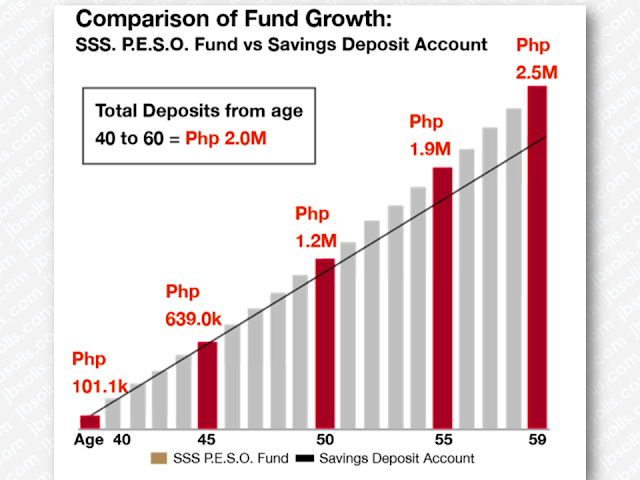 The Social Security System (SSS) has provided an investment option for its members through SSS P.E.S.O. Fund where you can benefit a lot. What is the SSS P.E.S.O. Fund? The SSS P.E.S.O. 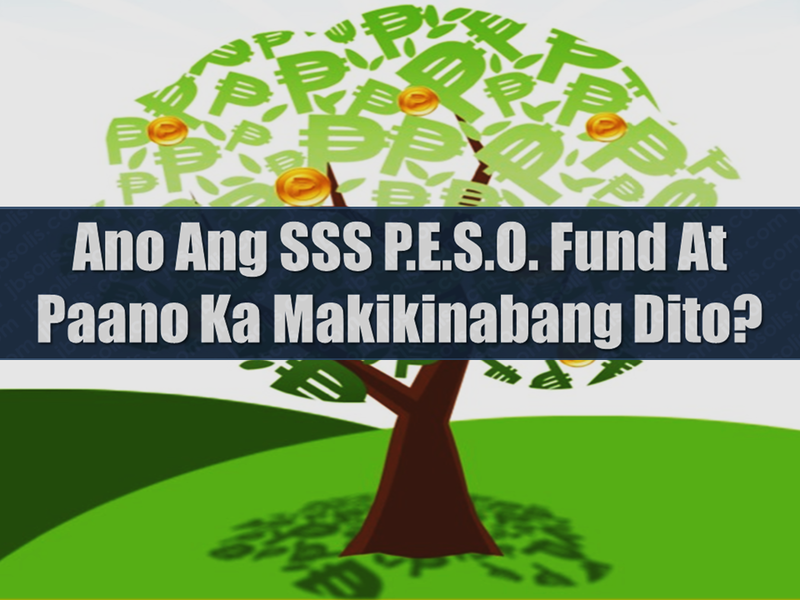 Fund (Personal Equity and Savings Option) is a voluntary provident fund offered exclusively to SSS members in addition to the regular SSS program. Through this program, members who have the capacity to contribute more are given the opportunity to save more in order to receive additional beneﬁts in the future. How can an SSS member join the SSS P.E.S.O. Fund? Interested and qualiﬁed SSS members can enroll in the program over-the-counter at any SSS branch. Enrollment via My.SSS will be announced later. Why is the SSS P.E.S.O. Fund a good investment? How is the SSS P.E.S.O. Fund allocated? When can a member contribute to the SSS P.E.S.O. Fund? Contributions to the P.E.S.O. Fund may be made anytime, whenever the member has excess funds. SE, VM and OFW members, must have regular SSS contributions based on the maximum Monthly Salary Credit (MSC) on the month of payment before they can contribute to the P.E.S.O. Fund. Each member shall be allowed a maximum contribution of P100,000 per annum and a minimum of P1,000 per contribution. Who can join in the SSS P.E.S.O. Fund? d. Have not ﬁled any ﬁnal claim under the regular SSS program. When does membership in the SSS P.E.S.O. Fund start? Membership begins with the payment of the ﬁrst contribution to the P.E.S.O. Fund. Are withdrawals from the SSS P.E.S.O. Fund allowed? No withdrawals are allowed from the retirement/total disability account. Withdrawals from the fund shall be allowed only from the Medical (25%) and General Purpose (10%) Accounts. Withdrawals within the 5-year retention period shall be charged with corresponding penalty and service fees. When can a member receive beneﬁts from the SSS P.E.S.O Fund? • The member will receive beneﬁts upon ﬁling a retirement, total disability or death claim under the regular SSS program. • Retirement or total disability beneﬁts, which consist of the member’s contributions and earnings from the SSS P.E.S.O. Fund, may opt to receive this in monthly pension, lump sum or a combination of both. • Death beneﬁts shall be paid in lump sum to the member’s beneﬁciaries. SSS P.E.S.O. Fund member who contributes P100,000 per year starting at age 40 will have contributed a total of P2.0M by the time he reaches age 60. 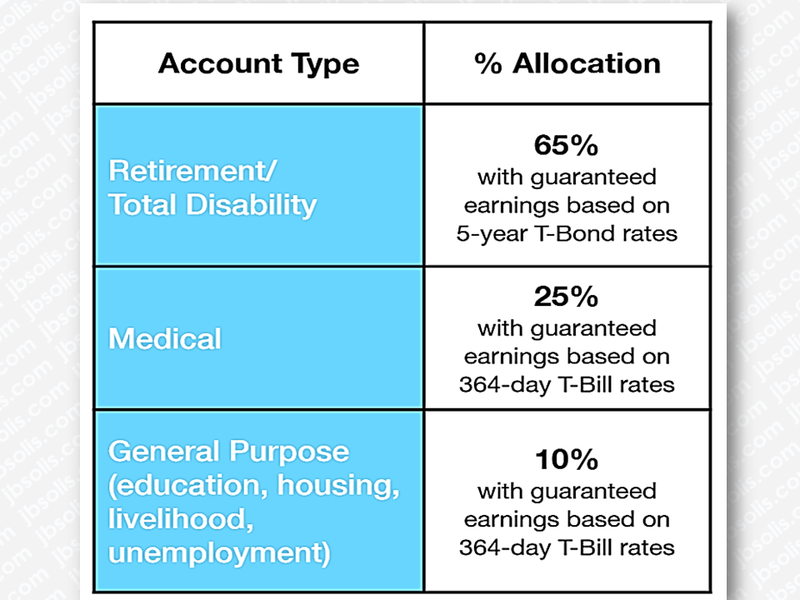 Assuming that the fund growth rates are at 3.75%, 1.85% and 1.85% per annum (may be higher or lower) for Retirement Account, Medical Account, and General Purpose Account, respectively, the member would earn P500,000 in 20 years, giving him a total of P2.5M upon retirement. Do You Want College Scholarship? Check This Out Now!